Do you fancy seeing, tasting, smelling, breathing - being the real Ireland? You're in the right place! Come see the landscape, learn a tune, be the story... with Wild Atlantic Cultural Tours! Sustainable, welcoming, authentic, flexible, relaxing... come and join us, you'll be glad you did! See how to make Denis' seaweed salt....tasty! 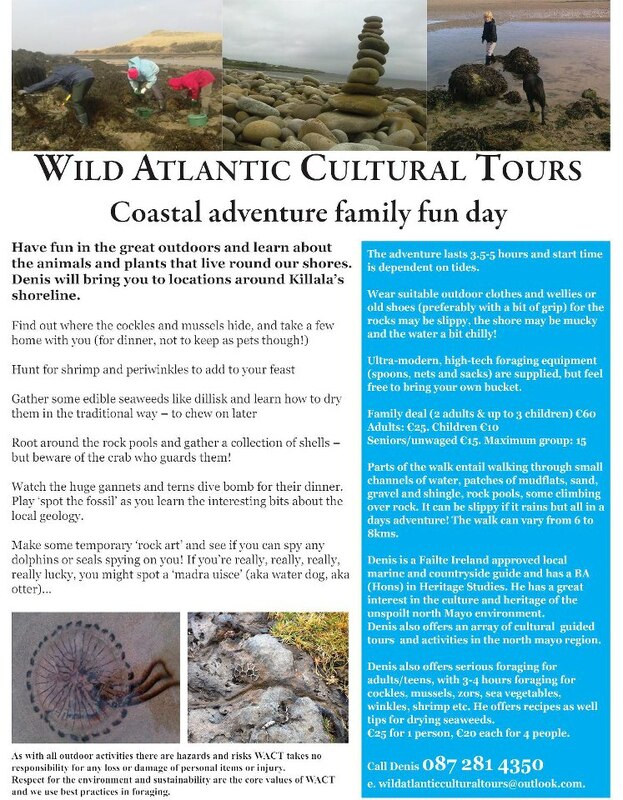 Welcome to Wild Atlantic Cultural Tours. We are based in the small fishing port of Killala, on the north-west coast of Mayo, Ireland. Come and enjoy a truly unique cultural experience. 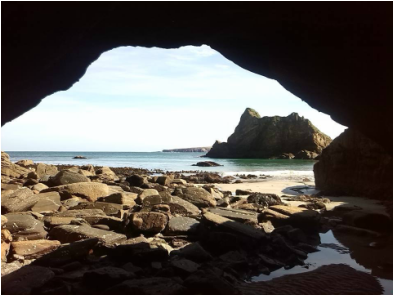 We offer a range of interesting activities and traditional experiences, knowledge tours, and cliff and loop walks around stunning land and seascapes. Let us organize everything for you. We provide accommodation, a range of interesting tours and activities for you to enjoy, transport – and a good laugh along the way! Learn new skills, connect with nature and enjoy the craic as you experience the real Ireland and its warm and welcoming people.